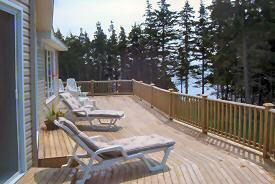 Large, new beachhouse with sweeping view of the ocean and access to secluded, white sand beach. Comes fully equipped with beach chairs, umbrellas and beach toys. A perfect setting for couples or families. 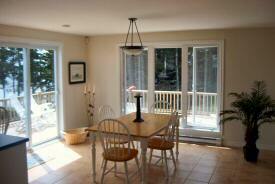 Close proximity to Provincial Parks, world class golf (Brudenell, Crow Bush Cove). 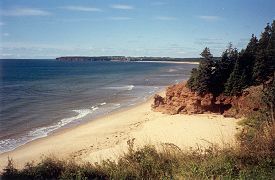 Additional nearby activities include kayaking, deep sea fishing, bike rentals and fine dining. For more information, please visit thebreakersbeachhouse.com. New one storey beach house built in 2002. 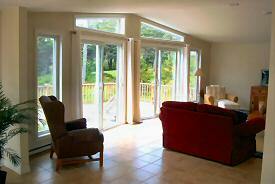 Large open concept with vaulted ceilngs and ocean view from every window. 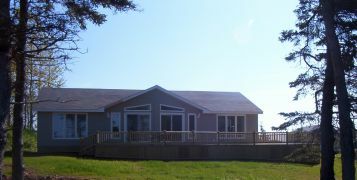 Includes a large beautiful wraparound deck. 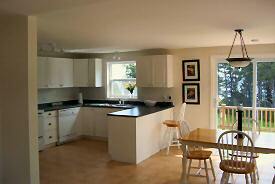 Tastefully decorated with all new furnishings.